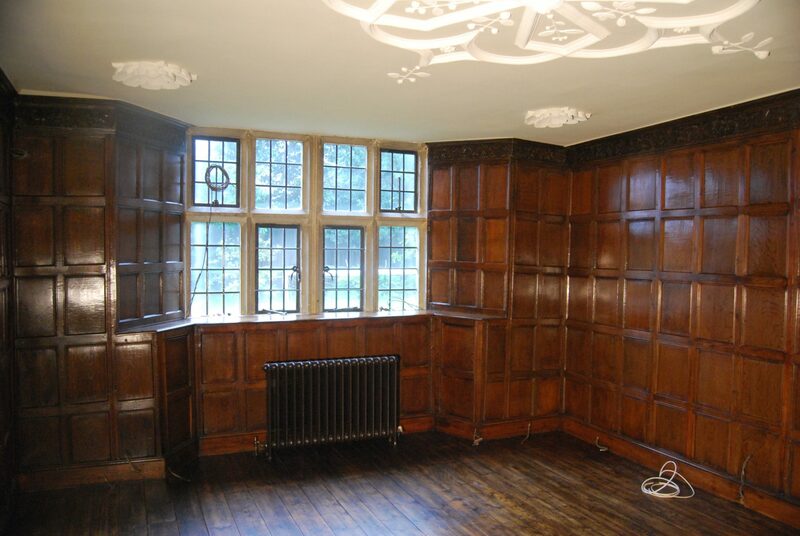 This beautiful Grade 1 listed Jacobean House had the most stunning original oak panelling. With years of smoke from the huge fireplace, soot had built up above the mantle piece to become almost black. 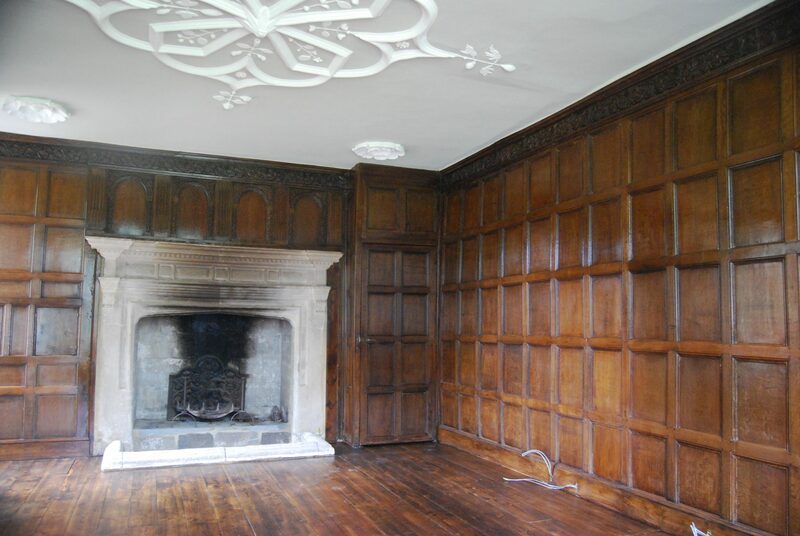 The remit was to clean off the smoke and lighten the whole room, as it had previously been badly restored back in the early 20th Century. 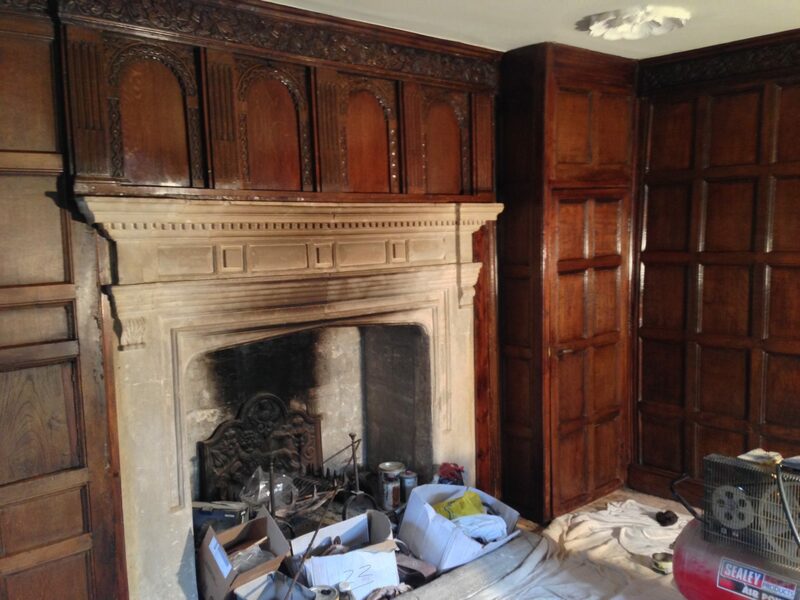 All panels required stripping, the mouldings and grain required scrubbing out to remove century’s old paint which had been stained over. 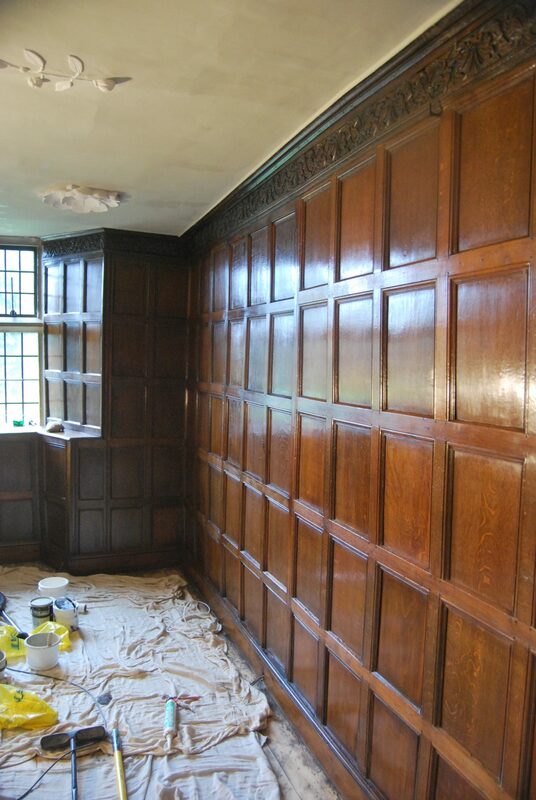 They were then sanded, preserver applied, remedial repairs for rot and panels secured where loose. 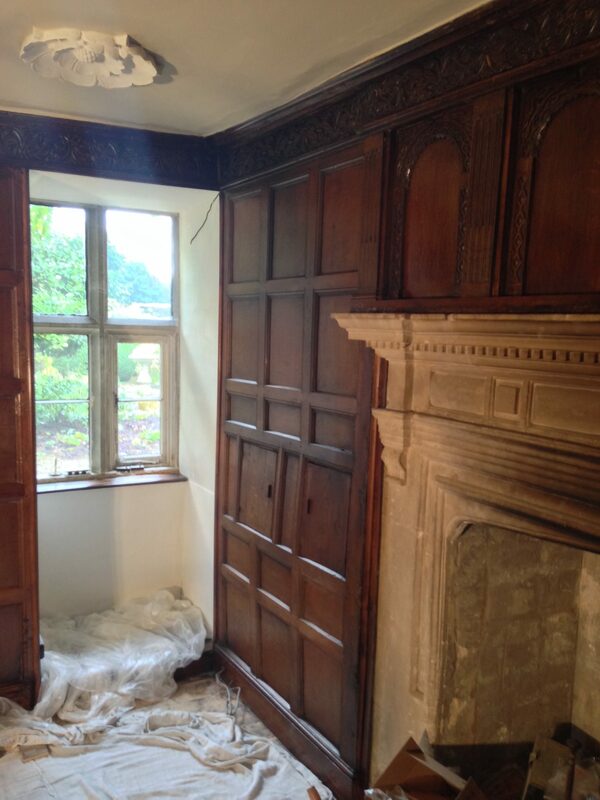 While stripping the panels, some pine framing was found and different types of oak had been used to fill in where a door had been bricked up over 200 years ago. This required lots of attention while colouring these areas as there were differences in the grain and colour of the different timbers. Finally over 10 coats of hand applied shellac polish were applied to give a deep, rich lustre. 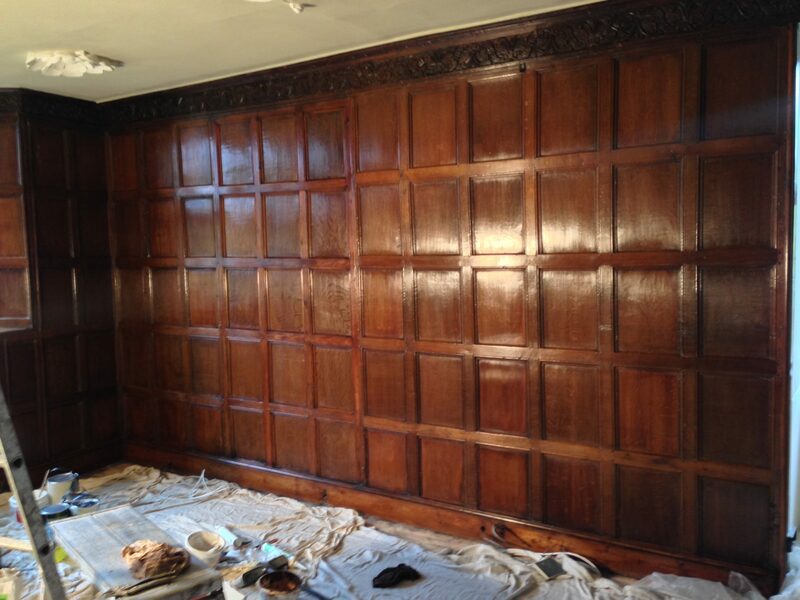 To finish, 2 coats of stainwax were applied and hand buffed. The Victorian pine floorboards were stripped, secured, filled, coloured and hand finshed with wax-oil. Another firm completed the repairs and painting of the subtly ornate stucco ceiling. The result of all the restoration was deeply rewarding. 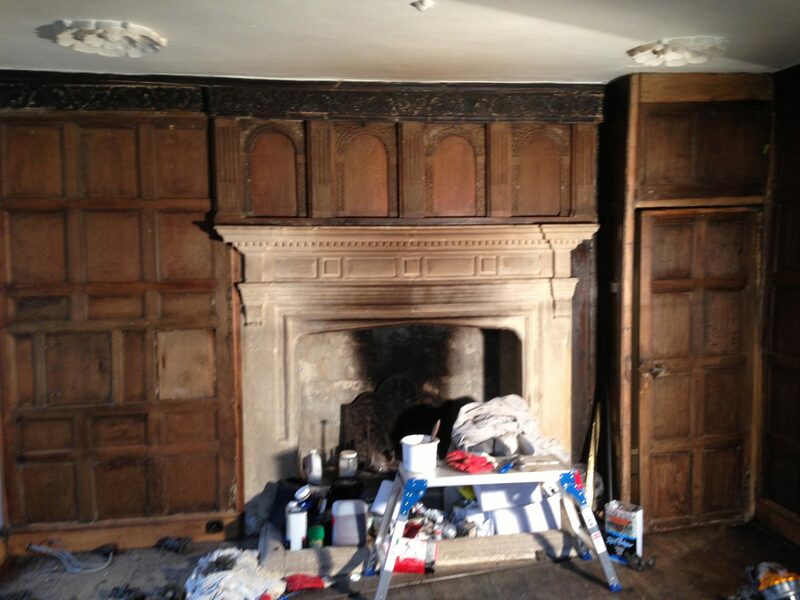 During – stripping the fireplace. During – showing how much colour was under all the layers of soot. 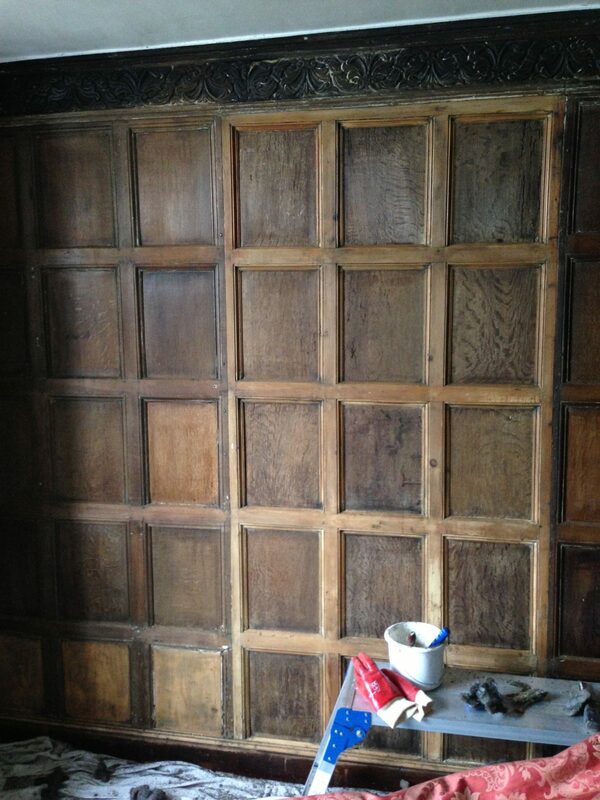 Showing the different timbers used over the years to patch up the panelling. 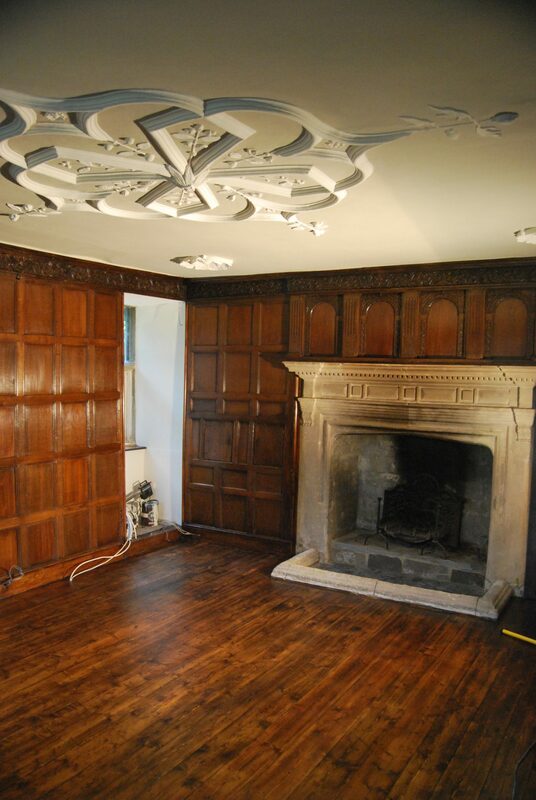 During – showing all the lovely quirks of an old building. Almost done with the polishing.